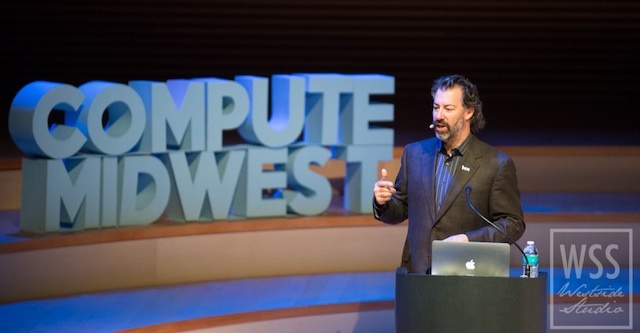 Compute Midwest 2013: Get Inspired w/ speakers from NASA, Reddit & more! We’re extremely excited to announce Compute Midwest 2013, slated for October 25th – 27th! 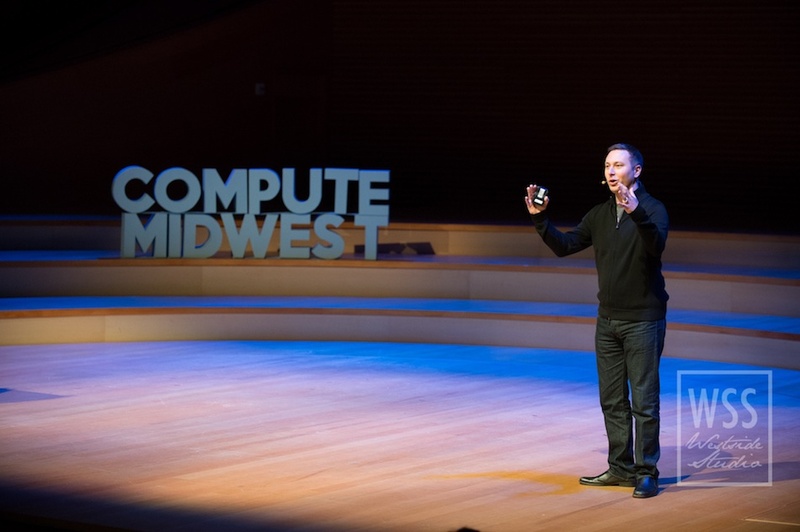 As seen in some of the world’s top tech publications like Forbes, Fast Company and The Next Web, Compute Midwest is a 2 day convergence of tech: new people, new ideas and new frontiers in Kansas City. With 1 conference, amazing speakers, a hackathon and more, Compute Midwest provides a fantastic opportunity to connect you with 500+ forward thinking tech minds. Engage in conversation about the future, exchange/build new ideas and gather several takeaways that can move your career or company forward! Join us on October 25th at the beautiful Kauffman Center For Performing Arts. Get inspired & learn about what’s next in technology – straight from tech leaders, startup founders & visionaries. Hear the stories of innovators who are building companies that change our life, our work & our business. 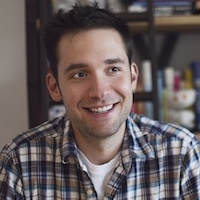 Alexis is the co-founder of Reddit, a site that has fundamentally changed the internet. He’s also authored the book Without Their Permission due out on Oct 1st. Aside from investing and advising startups, he focuses time on his on social enterprise Breadpig. 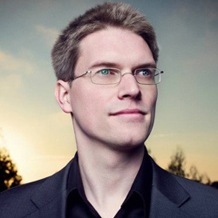 He also helped to launch Hipmunk. Alexis has spoken at TED and has been named on Forbes 30 Under 30 list two years in a row. 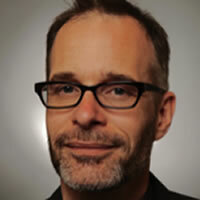 Andrew Hessel is a Distinguished Researcher with Autodesk’s Bio/Nano Programmable Matter group. He is also the co-founder of the Pink Army Cooperative, the world’s first cooperative biotechnology company, which is aiming to make open source viral therapies for cancer. Trained in microbiology and genetics, Andrew has continually worked at the forefront of genomics. He believes that synthetic biology is revolutionary and that it will eventually surpass information technology (IT) as an economic engine and driver of societal change. Andrew is faculty in Bioinformatics and Biotechnology at the Singularity University, based at NASA Research Park in Mountain View, California. He is a fellow at the University of Ottawa, Institute for Science, Society, and Policy, focusing on how next-generation technologies shape society’s future. 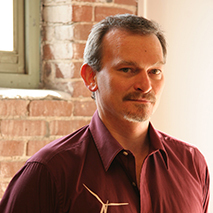 Chris Kemp is the co-founder and CEO of Nebula (named a top upcoming cloud startup to watch by GigaOm). Prior to Nebula, Kemp was the Chief Technology Officer for IT at NASA, where he co-founded OpenStack, and was responsible for pioneering work in cloud computing, open source and open government. Kemp has also served on the White House Cloud Computing Executive Steering Committee. Previously, Kemp served as the CIO of NASA Ames Research Center in Silicon Valley where he forged partnerships with Google and Microsoft and helped create Google Moon, Google Mars, Microsoft World Wide Telescope and was responsible for NASA’s Nebula Cloud Computing Project. 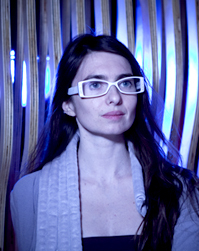 Ariel Garten is the CEO & Co-Founder of Interaxon. The company created Muse, a brain-sensing headband that lets you control things with your mind. If there ever was a gap between science, art, business and technology, she’s closed it. Her work converts the workings of the mind into tangible solutions. Ariel has researched at the Krembil Neuroscience Institute studying hippocampal neurogenesis, displayed work at the Art Gallery of Ontario, DeLeon White Gallery, and opened Toronto Fashion Week. Referred to as the “Brain Guru” by Now Magazine, CBC Radio and the Toronto Star, Ariel has also run a successful real estate business, spent time as the designer and owner of a Canadian fashion boutique, and is a practicing psychotherapist. Jeff is the co-founder & CTO at SmartThings, a startup that wants to “Make Your World Smarter” by connecting things in the physical world to the internet. In 2012 the company was wildly successful in it’s crowdfunding efforts to begin building their vision of the future with connected devices, raising $1.2 million dollars on Kickstarter. Jeff is a “Cloud CTO” that strongly believes in the importance of Cloud-based services as an enabler of time-to market, scalable architectures, improved and more mature service level agreements, and competitive advantage. Accordingly, he believes that the Internet of Things will happen largely in an ever expanding Internet Cloud. Prior to founding SmartThings, Jeff has spent more than 30 years in software engineering, engineering management, and executive technology leadership roles. 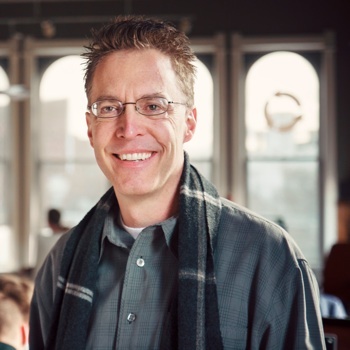 Most recently, Jeff was CTO and CIO for ReachLocal, he has served as CTO for SMBLive, Dynix, Apptix, and TeleComputing. 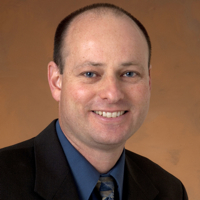 Jeff began his commercial software career in the ERP industry at J.D. Edwards and spent the first 13 years of his career at Lockheed. John is the founder & chief scientist at Oblong Industries, where he’s focused on fundamentally changing how humans use computers. If you’ve watched Steven Spielberg’s “The Minority Report”, you’ve witnessed the futuristic user interface that John invented. His foundational work at the MIT Media Laboratory included innovations in real-time computer graphics systems, large-scale visualization techniques, and the I/O Bulb and Luminous Room systems. Aside from The Minority Report, John has served as a science advisor to films including The Hulk (A.Lee), Aeon Flux, and Iron Man. He’s spoken at TED, serves as an adjunct professor in the USC School of Cinematic Arts and is active on several boards. John holds a PhD from the MIT Media Lab. As both the Deputy Flight System Manager and Engineering Development and Operations Manager for the Mars Science Laboratory (MSL) “Curiosity” rover project at NASA’s Jet Propulsion Laboratory, Jordan Evans led the MSL team through the challenges of design, assembly, testing, and ultimately through early operations on the surface of Mars. Prior to and since landing, Jordan has shared those challenges with the national and international media and as a speaker at numerous conferences, including TEDx. 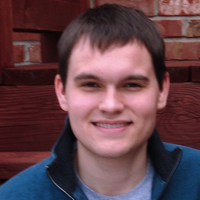 Wade Foster is the co-founder of Y-Combinator startup Zapier. Their service allows SaaS users create integrations that push data between hundreds of best-in-breed web applications without having to write any code or wrangle APIs. In 2012, the company raised a $1.2 million seed round. The company has also been featured in top publications in the tech world like Wired, The Next Web & more. Developers & designers: join us October 26th-27th at the Boulevard Members Club at Sporting KC Park space for an epic 24 hour hackathon! Build awesome apps for a chance to win thousands of dollars in prizes! How Does A Hackathon Work? Demo for a chance to win AWESOME prizes! We’re offering a couple of different ticket packages this year. 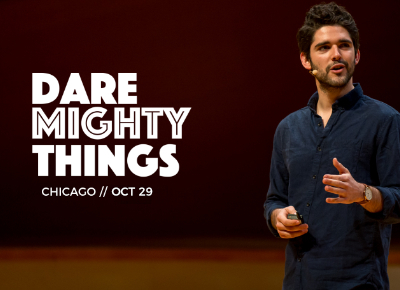 Conference only – this gives you an all day pass for October 25th to hear our awesome speaker lineup. Includes breakfast and lunch. Conference + Hackathon – this gives developers and designers an all day pass to the conference on October 25th and the Hackathon on October 26th. Includes breakfast and lunch at the conference & meals provided during 24h hackathon. Need Help Convincing Your Boss or Company? We’ve provided a justification form below that’s worked for many! Help spread the word & get access! Go here for more info or download our beautiful mobile app! Compute Midwest and other KCITP events are made possible by the support of the forward thinking companies you see on our Compute Midwest event site. Interested in sponsoring? Get in touch! Sign up for our Newsletter get career tips, the hottest job postings and special event invites! Did you enjoy this article? Stay in touch! Get the latest KC tech news, exclusive event invites/discounts & more!